He has spotty arms, he stole his glasses from another boy and his laces are straight, not criss-crossed like mine. His freckles look like birdseed on his nose. 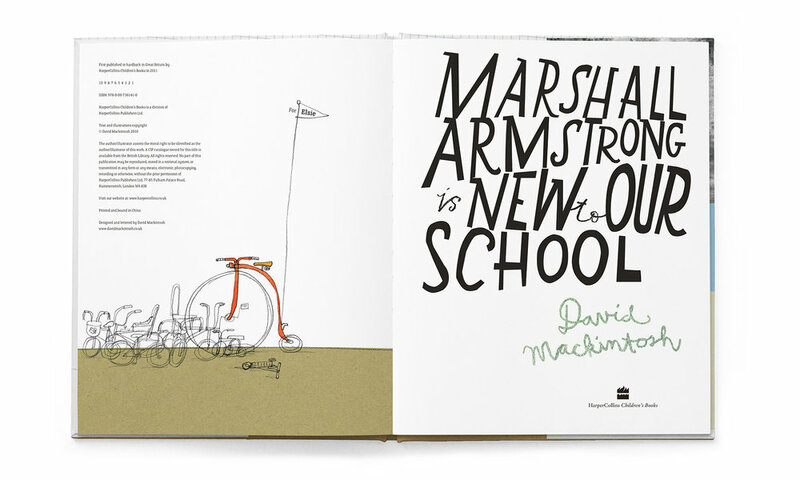 "Happily, David Mackintosh’s books are always something to look at, so it’s no surprise that “Marshall Armstrong Is New to Our School” takes on friendship from a different angle: the book is narrated by an established insider, forced to be nice to the new guy. Young Armstrong is fascinating, and Mackintosh gives us a two-page spread of his oddities, ranging from the physiological (“His freckles look like birdseed on his nose”) to the sartorial (“His laces are straight, not crisscrossed like mine”) to the misunderstood (“His glasses belong to another boy” — i.e., Ray Ban)." Daniel Handler writes children’s books under the name Lemony Snicket. New York Times Book Review. 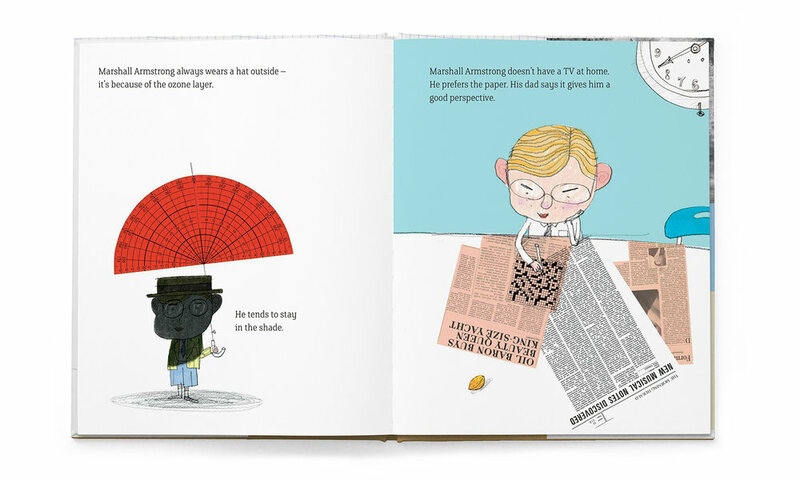 Longlisted for the Kate Greenaway Medal 2011. Shortlisted for the Roald Dahl Funny Prize 2011. Winner of the Please Touch Museum Illustration Award 2011. Winner of the Hampshire Illustrated Book Award 2012. Shortlisted for The Sakura Medal 2013.